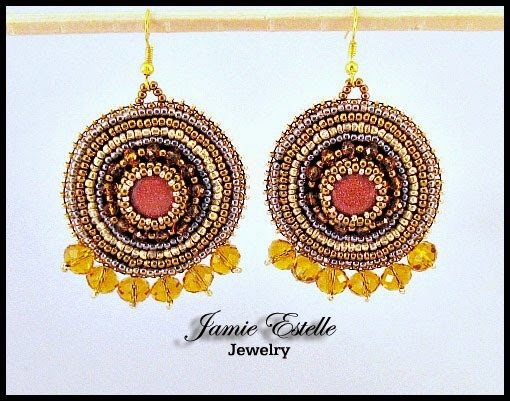 Jamie Estelle Jewelry: Springing Forward Into Action! We have some exciting news and events coming up in the next couple of months. We wanted to share them with all of you. 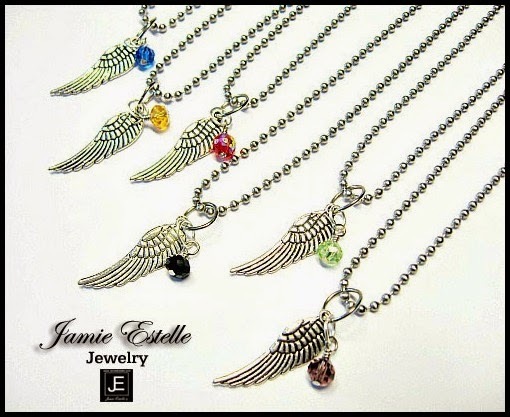 Make sure you're on the look out for Jamie Estelle Jewelry! We are a member of The Artisan Group and have been working along side with them. They are absolutely amazing! With there help we have been able to gift some of our jewelry to popular TV shows and Movies. 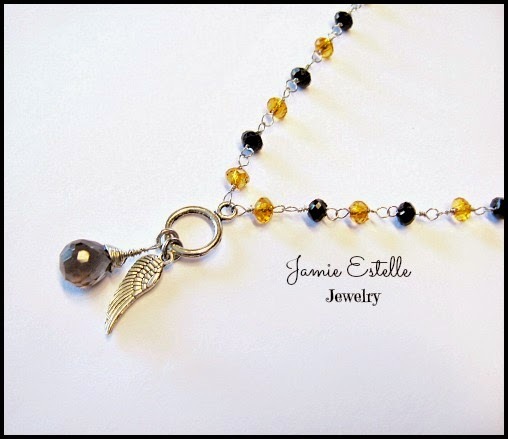 We gifted our black and gold Angel Wing Necklace with smokey amber quartz. 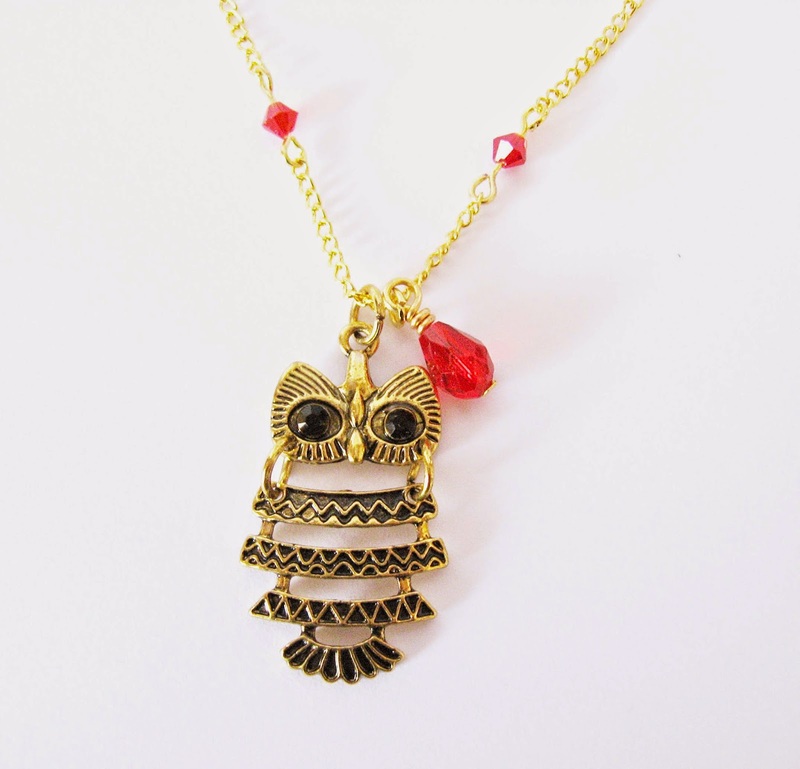 We chose this cute little owl for Lydia on Teen Wolf. Thinking she was a banshee. she would need more wisdom. We love those fashionistas on The Real! 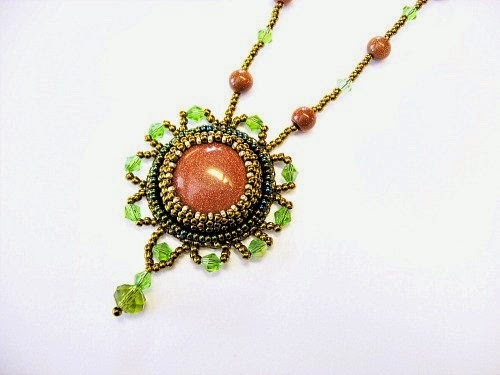 We thought this Hematite beaded necklace would be just the perfect piece of jewelry. 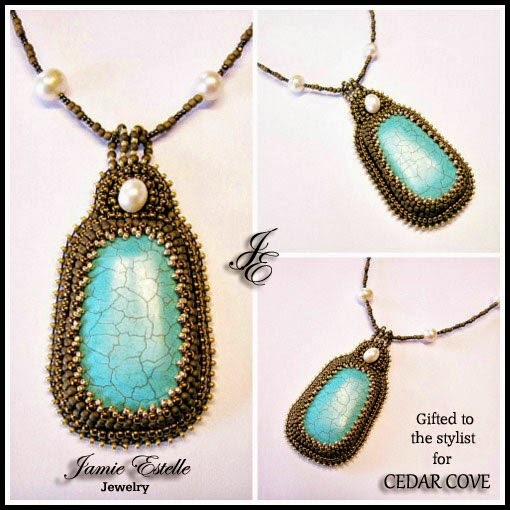 We hope to see our fun beachy turquoise necklace this season of Cedar Cove! Our boho crystal earrings will shine bright on Jane The Virgin! We thought with a little black dress this would be a big hit! We hope to see this one on the big screen. The Wrath staring John Travolta wont be in theaters till 2016. 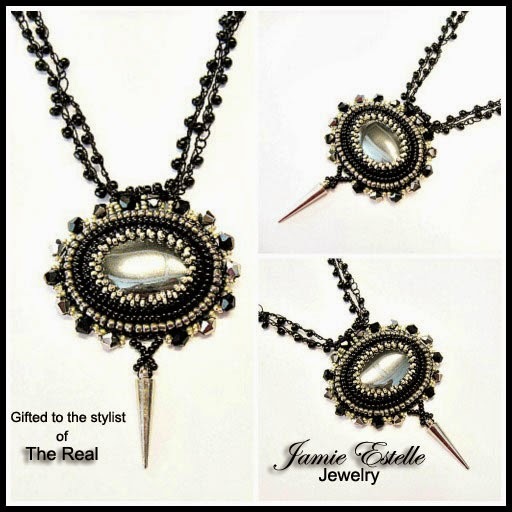 We are pleased to announce Jamie Estelle Jewelry, in association with The Artisan Group â , will participate in an invitation-only luxury celebrity gift lounge hosted by GBK Productions on April 10-11, 2015 at an exclusive location in Hollywood, California in honor of the upcoming 2015 MTV Movie Awards. Our Angel Wing And Swarovski Crystal Stainless Steel Necklace will be prominently featured on display at The Artisan Group's exhibit, and all attending celebrities will receive our Angel Wing And Swarovski Crystal Stainless Steel Necklace in their swag bags. This event will also be attended by nearly fifty press and media outlets. To learn more about Jamie Estelle Jewelry and our products, or our participation in this exclusive event, visit www.JamieEstelle.com, call 516-468-8181, or email blueyekittan29@aol.com. Jamie Estelle, Jamie Estelle Jewelry is sole proprietor, is a resident of Ocean, New Jersey. We will be apart of this event. Many press/media publications actively begin their product roundup searching 4-5 month in advance for their features and need products to fill their content for the Holiday Season. We hope you loved our jewelry for these upcoming shows/events. We would love to hear your feedback! 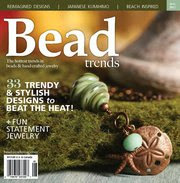 We would also love to see screen shots, if you spot our jewelry on TV. 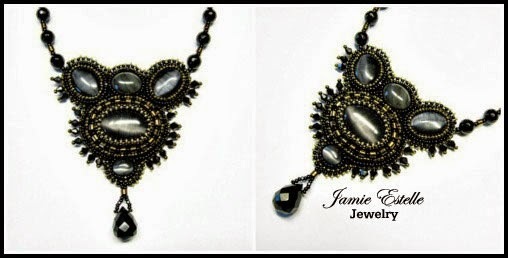 You can contact Jamie Estelle Jewelry on our blog or at www.JamieEstelle.com under contacts.